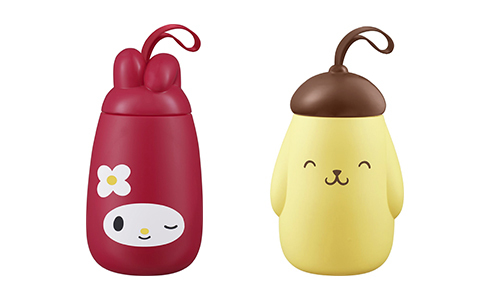 The range of Sanrio “Lock & Go” containers come in various fan favourite character designs! These soft pastel containers are designed to be anti-slippery and safe for microwaving (except for the lid). They are also BPA Free and air tight. How adorable are these bottle caps?! These 430ml bottles are safe to leave in the refrigerator for your chilled drinks! However, do not put these bottles in the oven/microwave/dishwasher. Are you eager to know how to get your hands on these Sanrio products? Easy! For every $4 you spend at any 7-Eleven convenience store, you get a stamp on your stamp card. On selected 7-Eleven Star products you get double the amount of stamps! For the containers, simply collect 22 stamps to redeem it for free or obtain 6 stamps with a top-up of $5.90. Water bottles require 30 stamps for a free redemption or a 6 stamp collection with $9.90 top-up. Upon redemption, you have to present your stamp card and you get to keep a serialized portion of your card. This serialized portion can be used in a lucky draw that will take place at the end of this campaign, results will be revealed on 7-Eleven’s Facebook Page!